If the release of the new Emoji movie this weekend means anything, it is that emojis are here to stay -- and that T.J. Miller is a nut. As a traditionalist, I have long fought the emoji craze, instead preferring the literary style of classic novels to dictate meaning and tone in my communications. But I am a realist also, and I understand that clinging to these traditionalist ways is not only counterproductive but also a very poor business practice. Today, over 90 percent of the world's 3.5 billion internet users use emojis, and it is not limited to millennials and younger users. Moreover, even with 2,666 active emojis (those approved in the Standard Unicode), users are clamoring for more. The truth is that emojis can be very useful, conveying emphasis or defining the tone of a correspondence. In some case, they can replace words altogether. And, as the use of ad blockers increases, and people migrate from television to on demand viewing, marketers continue to seek new and unique ways to earn the attention of consumers. Some companies have taken to integrating emojis into marketing campaigns, According to Travis Montaque, CEO, Emogi, "Traditional pop-up ads on mobile simply don't work. Brands have an opportunity to join the conversation and stay relevant, but only if they do it in a way that's natural and salient to the conversations consumers are already having." Utilizing existing emojis is fine, but some companies are seeking to develop custom branded emojis. This is a difficult task, as introducing new, branded emojis is not that simple. 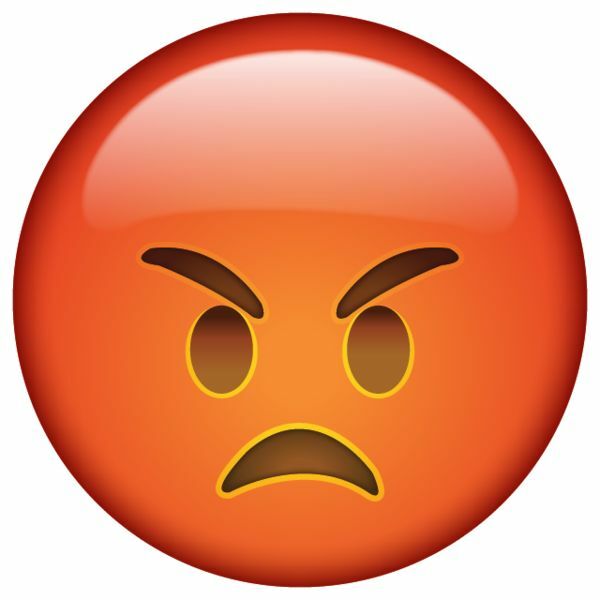 According to Unicode.org, which monitors and provides information about Unicode emoji and their development, images that are deemed inappropriate and unsuitable include "company logos, or those showing company brands as part or all of the image, or images of products strongly associated with a particular brand." But developers are crafty, and a few have found ways to get their branded emoji in front of you. 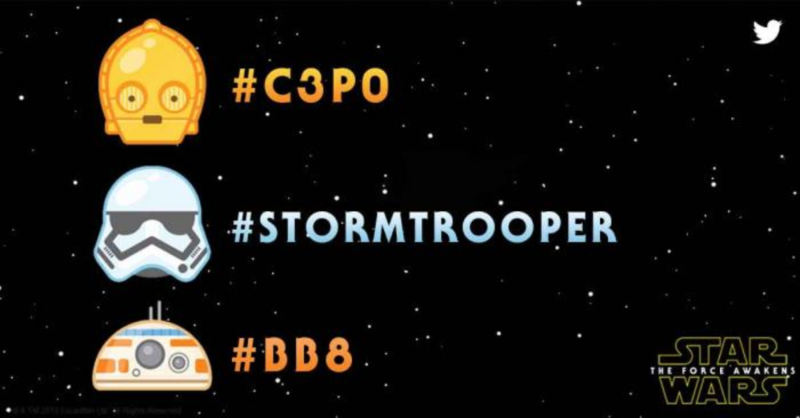 For example, to promote the release of the new Star Wars series, Disney partnered with Twitter to have specific hashtags emerge as emojis in the feed. Another company, EmojiXpress, has developed custom emoji technology called inTextMoji, which unlike typical solutions, produces branded emojis that can be used and will appear as text in any app (like Unicode emoji). The technology was recently featured by Apple for World Emoji Day (July 17). EmojiXpress CEO, Tayfun Karadeniz, points out that "as more and more conversations are taking place privately within messengers, brands have been looking for a way to join these conversations without interrupting. Moreover, consumers love emojis and they love their brands, but they don't want to be constantly bombarded with advertisements. With inTextMoji technology, brands can now be in front of consumers on their terms." For now, these strategies are reserved for companies with bigger budgets, but it will not be long before new technology will grant some flexibility to businesses trying to better connect with their customers. In the meantime, if you are going to employ emojis in your strategy, keep in mind these tips to avoid embarrassing you and your brand. Understand meaning. Make certain to know the meaning of emojis, including how they translate across cultures, genders, ages, etc. Be clear. Like a picture, an emoji can be interpreted any number of ways. Be sure that your message is crystal clear. Be appropriate. In general, emojis project a playful tone, so you do not want to use them if you have a serious message. Be conservative. Emojis are fun, but overuse can create "emoji fatigue" and potentially turn away consumers. What did you think about the emoji craze? Please share your thoughts in the comments below -- or .